A trustworthy service you can rely on. Plomberie Chantigny et Fils offers plumbing services to residential and commercial customers in Vallée-de-la-Gatineau and surrounding areas. From pipe installation to drain cleaning, air exchanger installation, submersible pump installation and more – we handle everything! 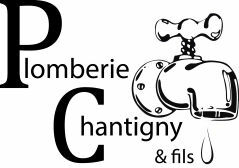 If you need the services of a tinsmith or a plumber in the Gracefield area, think Plomberie Chantigny et Fils. We are members of the CMMTQ and the APCHQ and we also have our RBQ licence: 5668-0226-01. Our team pays great attention to detail and we don’t hesitate to take on major projects. For quality service, competitive prices and impeccable work, contact us!